The full sized Longworth mallet provides both traditional style and value for money. The full sized heads are made from hardwood with two engraved rings at each end. The oval handles are spliced hardwood with a leather grip. 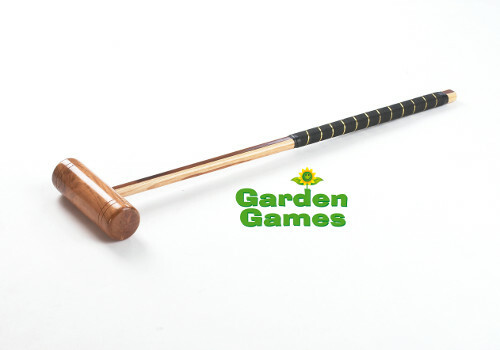 These lightweight mallets are available in two lengths (34”, 38”) and are a good way of adding additional mallets to any of our garden croquet sets.